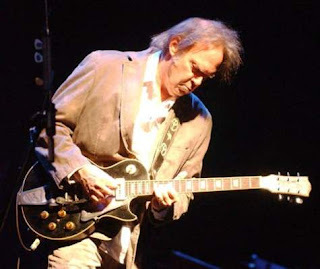 Neil Young has reveiled his new album "Fork In The Road" on MySpace last night. At midnight all tracks are available for streaming. Neil got the inspiration for the album while working on the "Lincvolt" project. In this project "Empowering the American Dream" they turn a 1959 Lincoln Continental into a clean and environment friendlier car. The album itself will hit the record stores April 7. Check it out and let me know what you think of it. I will give it a listen myself as well and post a review soon.